Perfect Thanksgiving appetizer to pair with Maison Bourgogne Blanc. • Preheat oven to 350°F, grease a baking pan, and roast your pumpkin squares according to the package directions. Once done, pull out and set aside. 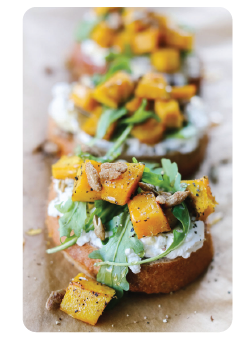 • OPTIONAL: If you want to add roasted pumpkin seeds to your bruschetta, spread the seeds in a single layer on a greased baking pan and roast for 30 minutes (or until dried out). Pull out, toss on a little more olive oil, some salt and pepper, or whatever spices you are feeling, and put back in for an additional 20 minutes. • Turn the oven to broil and while you wait for it to pre-heat, cut your baguette into 1 – 1.5 inch slices. Drizzle a little olive oil or butter on each side and place on a sheet pan. When the oven is ready, place the sheet pan on the top rack of the oven, closest to the broiler, and keep an eye on the toast as it can brown quickly. Depending on your oven, 2 minutes on each side should do it, but it is totally up to preference. While Mâcon is known for its fresh, simple whites, recent investments by top Burgundian producers have resulted in more conscientious winemaking. The Mâconnais district’s 21 mile stretch boasts a geology not dissimilar to the famed Côte de Beaune to its north. Mâcon’s epicenter, Mont de Pouilly, rises gently with alkaline clay covering a stark limestone base, a nirvana for the Chardonnay vines that laze smugly along the river Saône. The grapes were hand-picked on September 7th then pressed direct, settled overnight, and fermented with indigenous yeast in seasoned barriques. The wine matured for 12-14 months prior to bottling. Marinate the steak in the fish sauce, soy, garlic, ginger & oil for 2 hours. To make the burnt cabbage salad, place a frying pan on high heat with a little oil. Add the cabbage wedges and cook evenly on all sides until the cabbage is soft and quite blackened. Remove and place onto absorbent paper towel until cool. In the same pan, quickly fry the oyster mushrooms for 1 minute, remove and allow to cool. Make the vinaigrette by whisking the light soy, lime juice, miso paste, sesame oil and grapeseed oil together. To make the oyster mayo, in a blender add the oysters, egg yolks and Dijon. With the motor running slowly add the grapeseed oil to emulsify, season and reserve in the fridge for later use. Remove the flank from the fridge at least 30 minutes prior to cooking, heat your BBQ until it is very hot. Add the flank and cook for approximately 6 minutes on both sides or done to your liking. Remove and allow to rest in a warm spot. To serve, roughly chop the cabbage length ways and add this to a large bowl, add the mushrooms, radish and vinaigrette and toss well. Place a mound of the salad to one side of your serving dish, slice the beef evenly and place this next to the salad, spoon a dollop of the mayo next to this and garnish with the shiso cress. Courtesy of Vasse Felix Restaurant. Vasse Felix was established in 1967 by pioneer Dr. Thomas Cullity and is the founding wine estate of Margaret River. Margaret River experiences the unique combination of a Mediterranean climate, maritime influence and perfect soils for organic and sustainable viticulture. ‘Filius’ translates to ‘son of’ in Latin, reflecting the relationship between this wine and the Vasse Felix Cabernet Sauvignon; the estate’s most historic red wine. Filius is a more approachable, opulent interpretation of Margaret River Cabernet Sauvignon, a style renowned for its elegance and power. All fruit parcels were vinified and matured individually before grading post maturation to create a regional expression of the vintage. 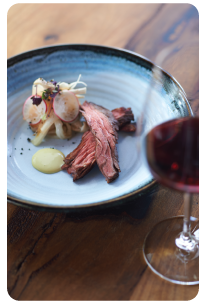 Join our Wine Club this month and receive two SILVER STAR rated wines and pairing recipes! Each month you’ll be introduced to new and different wines from around the world, from various appellations, varietals and wine styles. Plus, you’ll enjoy all the perks that comes with membership, including 10% off wine purchases and 15% off additional purchases of wine club wines. In a small bowl or cup, mix together the rosemary, basil, thyme, salt and pepper. Rub this mixture onto the lamb chops on both sides. 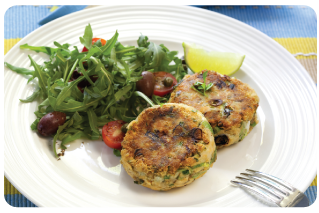 Place them on a plate, cover and set aside for 15 minutes to absorb the flavors. Add shallots to the skillet, and cook for a few minutes, just until browned. Stir in vinegar, scraping any bits of lamb from the bottom of the skillet, then stir in the chicken broth. Continue to cook and stir over medium-high heat for about 5 minutes, until the sauce has reduced by half. If you don’t, the sauce will be runny and not good. Remove from heat, and stir in the butter. 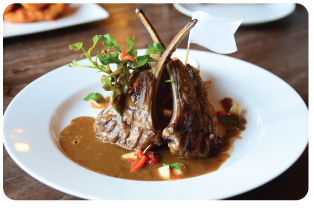 Pour over the lamb chops, and serve. Nature, Nurture and Artistry… Joe is passionate about bringing forth the natural characteristics of the grapes and letting the flavors and aromas tell the story of their quality upbringing. He fervently believes that the quality of wine starts in the vineyard; therefore, so does he. From early spring until harvest, Joe scrutinizes the vines, selecting the best sites and clones, as well as crop loads with the objective to produce wines true to their varietal character with as much depth, elegance, opulence and balance of flavor possible. His wines are beautifully fruited, rich with aromas and often have a faint impression of sweetness on the palate due to ripe tannins and fruit. Creating his dreams through pure drive and an insatiable passion for his art, Joe will continue to produce excellence and value through each of his distinct labels. Drain the salmon, reserving ¾ cup of the liquid. Flake the meat. Melt butter in a large skillet over medium-high heat. Add onion, and cook until tender. In a medium bowl, combine the onions with the reserved salmon liquid, 1/3 of the cracker crumbs, eggs, parsley, mustard and salmon. Mix until well blended, then shape into six patties. Coat patties in remaining cracker crumbs. Dobbes’ objective when making Wine By Joe is to produce approachable wines that are true to their varietal character and accurate representations of the Oregon terroir. Far more effort is expended on site selection, with the singular focus of sourcing fruit that expresses true varietal character while promising depth, elegance and balance. This all takes place at Dobbes Family Estate in Dundee, Oregon’s first LIVE (Low Input Viticulture and Enology) certified winery. Nature, Nurture and Artistry…Joe is passionate about bringing forth the natural characteristics of the grapes and letting the flavors and aromas tell the story of their quality upbringing. In a large frying pan, melt butter. 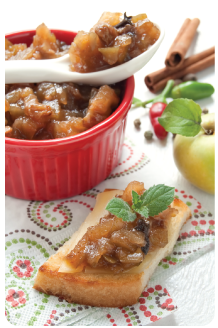 Add apple wedges and cook on high 3 to 5 minutes stirring frequently until apples soften. Reduce heat and add sugar, raisins, cinnamon, nutmeg and water. Simmer uncovered over low heat stirring frequently 10 to 12 minutes until sauce becomes thick. Remove heat and serve warm. 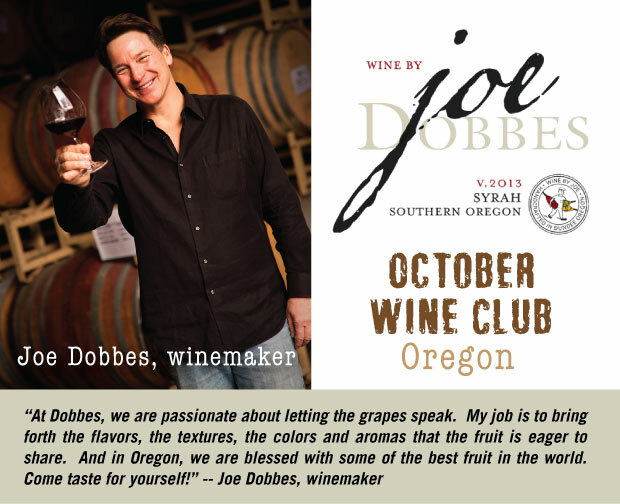 Though a small-town boy raised in Willamette Valley, Joe Dobbes’ wine calling originated far from his home country. 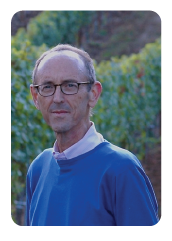 Stints in the Nahe and Burgundy regions in France provided Joe with a solid foundation in the Old World of winemaking, before returning to the U.S. and eventually beginning Joe Dobbes Wines in 2002. 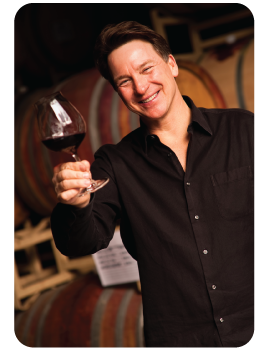 Today, he has succeeded in building one of the most well-established wine companies in Oregon. The estate vineyards cover some 214 acres in Willamette Valley and, in addition, Joe works closely with a number of elite Oregon vineyards to release single-vineyard wines and masterful cuvées under three labels – Dobbes Family Estate, Jovino and Wine By Joe, the last of which was named the #1 Hot Small Brand of 2011 by Wine Business Monthly.